I must admit being blogger here in Los Angeles has its perks. 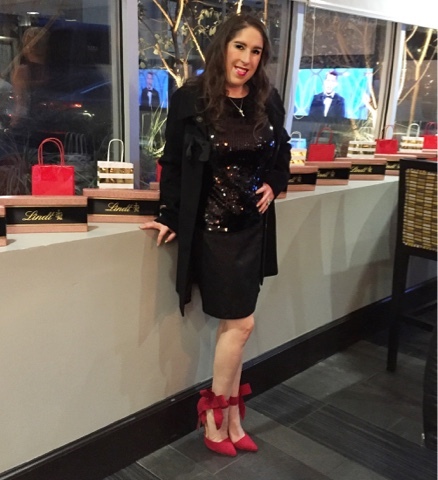 For the Golden Globes this year I was invited to a viewing party sponsored by Lindt Chocolate. 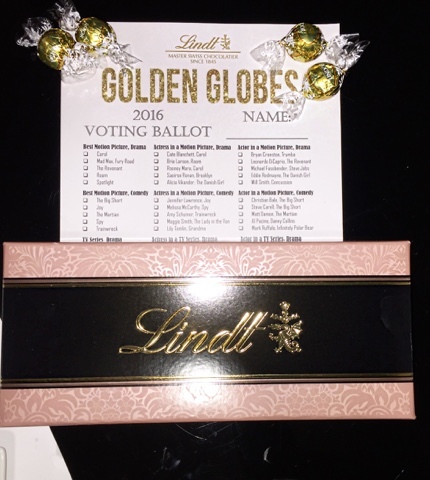 Lindt chocolate was the official confection of the Golden Globe Awards this year. 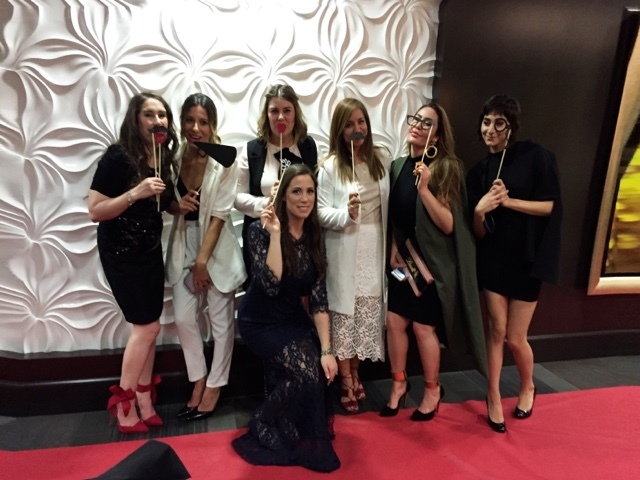 The theme of the party was old Hollywood opulence, glitz and glamor. So lets glam up the makeup, put on something that sparkles and walk the red carpet in a spectacular pair of heels. 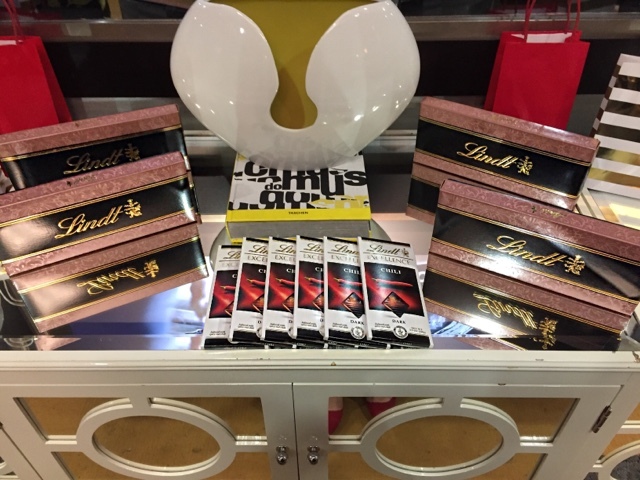 The Golden Globes were the perfect backdrop for what was the star of the evening "All the Lindt Chocolate you want". 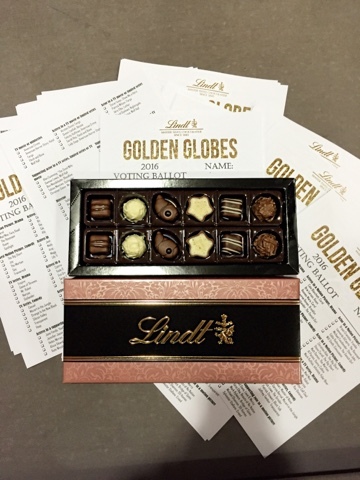 These boxes are the same specialty chocolates created by the Master Swiss Chocolatier for the Golden Globes. They were giving these exact boxes out to all the stars at the Globes. 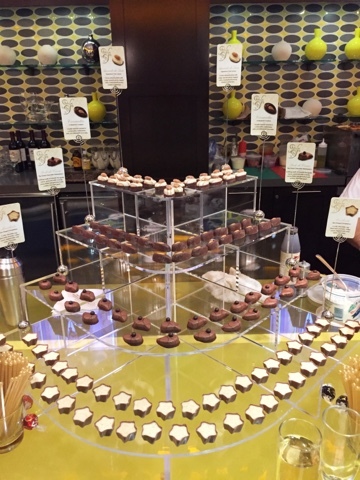 Just to put the word out there, "Leonardo if you like these chocolates I have an extra box". How cute of an idea is this?! 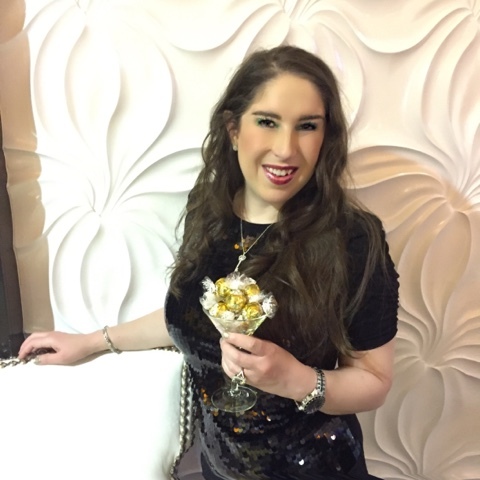 A martini glass filled with yummy chocolate balls!! So fabulous! 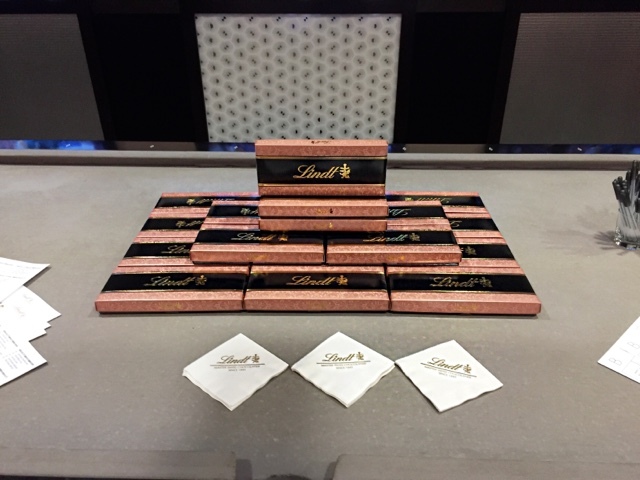 These are the signature pieces, same as in the boxes. The star shaped ones are coffee and cream absolutely my favorite. If you're wondering where these super cute bow pumps came from? The are the fabulous JustFab Collection. The location of this party was perfect. 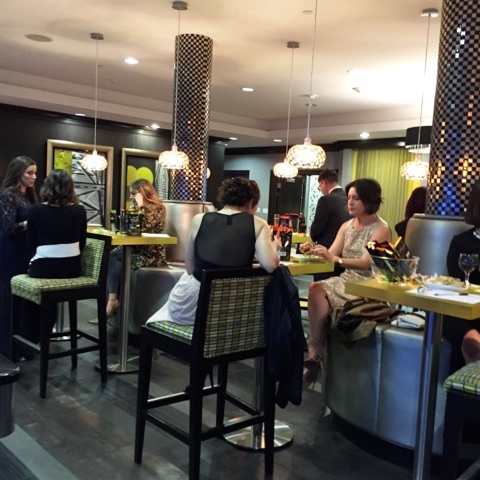 The lounge of the Rubix Hollywood fit perfect with the night's theme. Of course it would since it is right around the corner from The Chinese Theater. Old Hollywood Art Deco design with pops of bright yellows to liven it up. 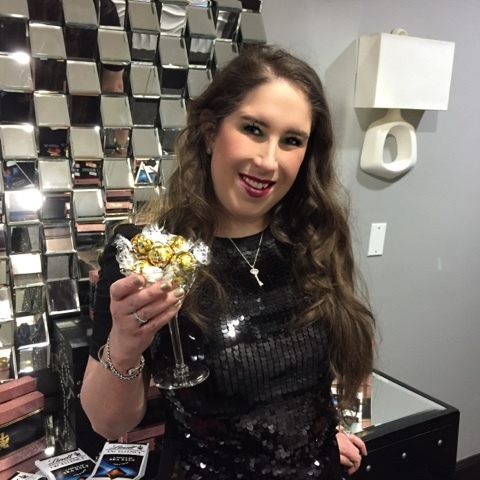 The drinks were amazing, two signature cocktails The Rose Gold and The Golden Ginger which were created by Courtney of Pizzazzerie. 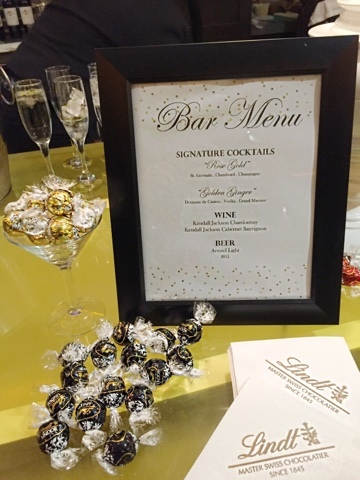 A fun award show party should definitely have signature themed cocktails. Wine, champagne, and beer for the guys were also being served. The caterer was terrific, sliders, flatbreads, cheese and crackers, vegetables, and crabcakes constantly being replenished and passed. Very fresh and delicious. What makes any event special is always the people attending. I had such a great time with my friends. 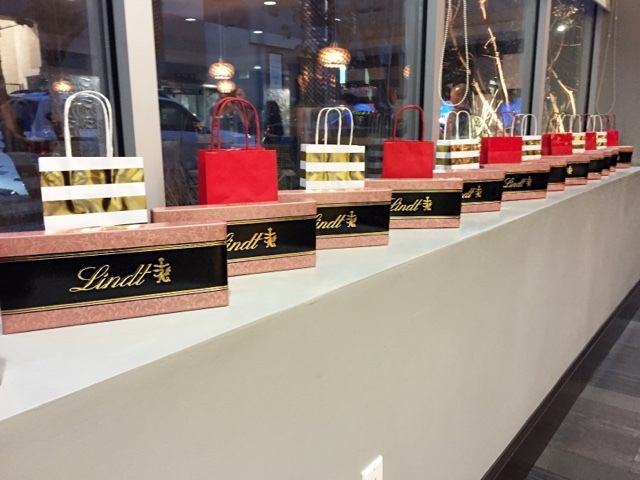 Marie Torto the social media specialist for Lindt Chocolate came to town and put this together. What an amazing job!! Thank you so much for stopping by!! For more fashion and style inspiration you can follow me on Instagram.